WEST CONSHOHOCKEN, PA USA – (July 23, 2013) – Under the banner “From Challenge to Benefit,” Victrex Polymer Solutions is presenting new applications and products based on its high performance polymers at K 2013 (Hall 5, Stand A23) in Düsseldorf, Germany. 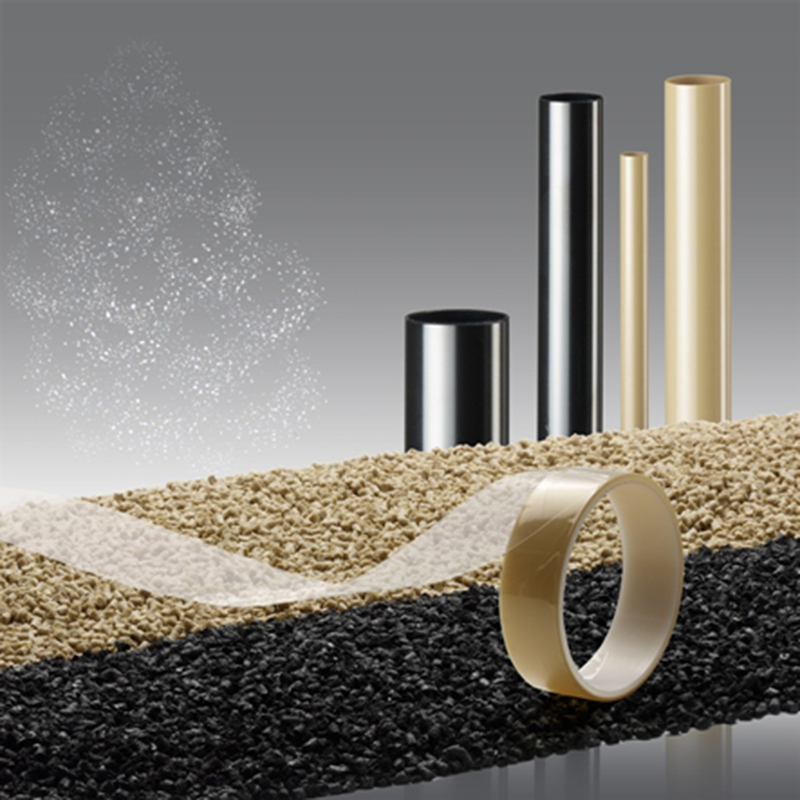 The thermoplastics help to reduce weight, energy consumption and costs in very demanding application areas which are difficult to realize with other materials. For that reason, Victrex, the worldwide leading manufacturer of polyaryletherketones (PAEK), including VICTREX® PEEK, is focusing its attention during K show on topics related to the automotive and aerospace industries along with metal replacement. “Each new product and application development is all about identifying market trends early and taking them into account while facing new challenges at the same time,” explains Rainer Müller, Commercial Manager Europe. Although that result might sound simple enough, it takes plenty of expertise, commitment, and market knowledge to achieve. Take the aerospace industry, for example: it can take months before the most suitable material with regard to cost-benefit aspects is found, approved, and implemented as an application. Along with their unique combination of properties, PEEK polymers also score points here with their established qualifications and approvals by manufacturers such as Airbus and Boeing. Metals cannot be replaced in this way until such qualifications and approvals are completed. The latest glass fiber-reinforced product, VICTREX PEEK 90GL30BLK EU, meets the current requirements of both the American and the European regulatory authorities, including the EU Commission Regulation10/2011 (Plastics Implementation Measure, PIM) which will be fully implemented by the end of 2015. The performance of the PAEK product portfolio extends across a broad temperature range – and also under extreme operating conditions, such as damp, chemically aggressive environments or cyclical stresses. “In that way, decisive opportunities can be developed and often make it possible to replace metals which are much heavier or to replace other polymers which are unable to stand up over the long term under the specified conditions,” says Müller. Three concrete examples bear this out: VICTREX PEEK 90HMF40, which was recently qualified by Airbus, permits weight savings of up to 40% versus aluminum. The high strength polymer is characterized by up to 100 times longer fatigue strength and up to 20% higher specific strength and stiffness as compared with aluminum 7075-T6 used in the aerospace industry under the same conditions. Broad use of the high-performance polymer is bound to reduce weight, fuel consumption and emissions. In automotive construction, components made of VICTREX WGTM polymers with optimized slip/friction properties extend the service life and raise the efficiency of components, including electric pumps, for example. As compared to other high-performance plastics, the coefficient of friction exhibited by Victrex polymers is even lower, depending on the requirement profile, and remains stable over the life of the product. This is great news for motor vehicle manufacturers in light of extended warranty periods or the new targets for reduced CO2 emissions recently established by the EU. In the oil and gas market, production failures can be catastrophic and expensive. Unlike other high performance polymers, VICTREX PEEK provides 100% greater pressure handling capability, three times more creep resistance and 12 times the compressive strength at elevated pressures and temperatures. It meets the escalating high-pressure, high-temperature demands with innovative materials that withstand pressures up to 30,000 psi (approx. 2,000 bar), temperatures of -60°C to 260°C (-76°C to 500°F) and exposure to harsh chemicals. No matter whether developers are seeking to create smaller, higher performance components, to extend service life, or to implement lightweight solutions which help to simplify handling or reduce emissions, it is no longer possible to imagine how major industrial sectors would manage without the high-performance polymers from Victrex. “Our customers understand the benefits which our polymers and our expertise provide for their applications, and therefore to their customers,” concludes Müller. In view of the increasing demand, the polymer specialist is investing to expand its production capacity and to implement continuous process optimizations in order to ensure reliable supply of the high-performance plastic over the long term.